Over the years the I-League (previously NFL) has contained many Institutional sides. These teams rarely challenged for the title but were strong enough to do well in 2nd division I-League. The two teams that go promoted from the 2nd division in 2009/10 were Hindustan Aeronautics Sports Club (commonly known as HAL or HAL SC) and Oil and Natural Gas Company Football Club (ONGC FC). ONGC qualified as champions – making their debut in top tier of Indian football. HAL, on the other hand is playing in I-League for the third time. These two along with omnipresent Air India Football Club are the crème de la crème among “office” teams right now. Let us take a look at how they have performed so far. ONGC as a company has been associated with Indian football for quite a long time. They have sponsored tournaments like Nehru Cup, NFL, as well as the Durand Cup. In 2006/07 season, ONGC decided to take their involvement in the game a step further and launched a football club. The club finished 6th in its inaugural season in the 2nd division. In 2007/08 season, the company decided to follow a more professional outlook as a set of directors were chosen to run only the football club. The club decided to follow AIFF guidelines strictly, offering contracts to its players and increasing their salary. They also inducted five U-19 footballers in the 35 man squad. ONGC topped their group in first round of 2nd division in the 2008/09 season. They failed to produce the same sort of performance in the final round, finishing in 5th place among 6 teams and missing out on promotion. ONGC’s wait to get promoted was finally over last season. In the final round of 2nd division, ONGC put up a sparkling display and ran away with the title. Further, they didn’t lose a single match in final round. ONGC added another feather to their cap when they captured Sikkim Governor’s Gold Cup defeating Bengal Mumbai Club in final. Before start of the season, ONGC made inroads in the transfer market – snatching N.D Opara from local rivals Air India. They already possessed Badmus Babatunde in their squad – top scored in 2nd division – and former India goal-keeper Rajat Ghosh Dastidar. Overall they managed to string together a team which was good enough for a mid-table finish. Things haven’t quite turned out as well as it was expected. ONGC put up two unspectacular but solid performances in their first three matches. They narrowly lost to East Bengal and Salgaocar and drew against Air India. Problems started to surface after the 4th match. It was clear that ONGC was no able to score goals or attain victories. Babatunde’s form has been abysmal in the I-League, which has hurt their goal scoring prowess. N.D Opara has been scoring goals regularly, but he can’t shoulder the burden of being a prolific striker. Stopper Gour Naskar played very well in starting matches, but has become increasingly error prone in recent ones. Their biggest loss perhaps has been coach Sujit Chakravarty. Chakravarty led the club during their promotion year and had loads of experience. He chose to join Mohun Bagan after Stanley Rosario got the sack. ONGC got their first ever I-League win when they defeated hapless Viva Kerala 1-0 in 9th round. Since that win, they have lost most matches and are occupying the lowest spot in the table. A shock 1-0 win over table toppers East Bengal can change things for ONGC but it still looks like an uphill task. ONGC has been completely undone by their insipid attacking line. Babtunde has scored just 4 times in 13 matches, while his team has scored only 8 times – a terrible record by any standards. It is unlikely that the squad will be bolstered in transfer window because of limited funds. The officials have to deal with the head-ache of fulfilling AFC A licensing criteria. The club has not satisfied multiple requirements of AFC criteria. The club is directly owned by a public sector unit – so they have a connection with government. As per AFC, professional clubs cannot have any link with government. ONGC doesn’t have youth teams in different age groups – they only have a U-15 team. ONGC secretary Vivek Bhowmik expressed his doubts about existence of the club in the long run. He said that it will be extremely difficult to remove the club’s ties with its mother company. Under current scenario, staying up in first division will be mission impossible for ONGC. 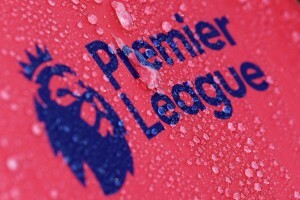 There is a chance that there will be no relegation this season. From next season, clubs which satisfy the AFC criteria will play in top division – irrespective of what they do this season. ONGC’s existence is not assured from that direction either. Air India Football club started their journey in 1952. In last two decades they have turned into one of the best institutional sides in Indian football. Air India filled up the void in Mumbai football after Mafatlal and Tata SC teams were disbanded in 1980s. Under the tutelage of Bimal Ghosh, the Airmen have become a regular fixture in top division of Indian football. Their 6th place finish in 1997/98 season remains the best showing by an institutional team in NFL/I-League. Interestingly, Air India has developed a reputation for youth development in the last 10 years. They have brought up players like Paresh Shivalkar, Bungo Singh, Rajesh Mitai and Tomba Singh, who went on to play well for bigger clubs. Khalid Jamil was once dubbed as the “best player in India” by Subrata Bhattacharya, while Godfrey Perriera was easily the best play-maker in Indian football in mid-90s. They can also boast of commendable success in some all India tournaments. They have won Sikkim Governor’s Gold Cup twice in 1996 and 2006, Nadkarni Cup (traditional season opener in Mumbai) in 2006, 2007 and numerous Mumbai League titles. In 2008, they created history by winning the EK Nayanar Gold Cup by defeating three foreign club teams – Ferroviaria FC (Brazil), Bayelsa FC (Nigeria) and Buenos Aires De Futbal (Argentina). Interestingly Bayelsa won Nigerian League and reached semi-finals of African Confederations Cup the next season. Other than Mohun Bagan (1911 IFA Shield) and East Bengal (ASEAN Cup), no other Indian club has defeated so many foreign teams to win a tournament. Air India’s condition in last 2 seasons has mirrored the poor health of its mother organization. They barely escaped relegation – hanging by the thinnest of ropes at times. This season Air India started well, winning the Mumbai Harwood Football League. However, they lost some important players to ONGC in transfer window including N.D Opara. They also suffered a big blow when Bimal Ghosh had to step down from his coaching post as he didn’t have an AFC A license. 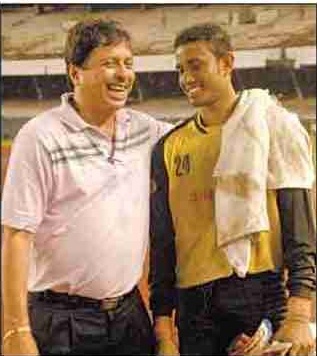 Former India NT goal-keeper Yusuf Ansari became the new coach. Air India started on a shambolic note losing to local rivals Mumbai FC. Three drab draws followed in which they could score only one goal. Defender Dhanachandra Singh was particularly impressive in this period – especially in the away game against Chirag United. Things took a turn for worse in round-5 when they were undone by the young Indian Arrows team. A 6-1 thrashing from East Bengal in next match was perhaps the lowest point of their campaign. Two more draws followed against Pune FC and HAL, before losing to JCT and Churchill Brothers. When Air India faced Dempo on 23rd January, it looked like they were in for another thrashing. Instead what happened in that match will go down as one of the biggest upsets in Indian football in recent times. AI thrashed Dempo 4-0, the Goan club’s worst defeat in almost a decade. It was a result that sent shock waves in the football fraternity. Since then AI’s fortunes have taken an upswing. They earned creditable draws against Mohun Bagan and Salgaocar. It looks as if they will perform another Houdini act to escape from relegation. Air India has already applied for privatization. They also have a decent youth system and had launched their own fan club back in 2008. Air India is well placed to comply with AFC criteria as of now. Their main focus should be staving off relegation for this season. Set up in 1940s, Hindustan Aeronautics Sports Club’s football branch has carved out a niche for itself in Bangalore football. The garden city, previously breeding ground for talented footballers like Ahmed Khan, Kannyan and Ulganathan is no longer an established football power. HAL SC is one of few teams to qualify for I-League from Karnataka. They have struggled to sustain their success in top level and have been relegated twice before. Recently, HAL captured the Manorama Gold Cup in Kerala – defeating Vasco SC in final. They have also won Bangalore Football team on more than one occasion. HAL’s start in this year’s I-League was nothing short of jaw-dropping. Since Bangalore football stadium was undergoing renovation they were slapped with a punishing fixture of 10 away games in first leg. No one could have predicted the performance they put in first two matches. HAL started with a 1-0 win at Ludhiana. JCT is never an easy team to defeat during the winter, but HAL managed to do it. 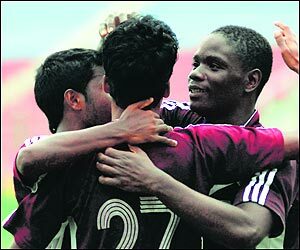 They followed up the win with an even more incredible 2-1 win over Mohun Bagan in Kolkata. The last time such a thing happened was way back in 2001-02. Former Bagan striker RC Prakash came off the bench and put on an impressive shift for the Bangalore team. After these two wins, HAL went into free-fall – failing to win any of its next 9 matches. The jinx was finally broken against Pune FC when they won 1-0. After a narrow loss to East Bengal due to a dubious penalty and a thrashing by Dempo, HAL came back to winning ways against fellow relegation contenders ONGC. A 1-0 win over the I-League debutantes sees HAL comfortably lodged in 9th position – level on points with Pune FC. HAL is supposed to play 10 home matches in second phase – more than any other team. They are well placed to avoid the drop this season. According the HAL management, the club has one of the best facilities in India. They have a youth academy in Orissa which provides proper platform to 40-45 youngsters. One of HAL’s youth products Satish Kumar has already made a name for himself. 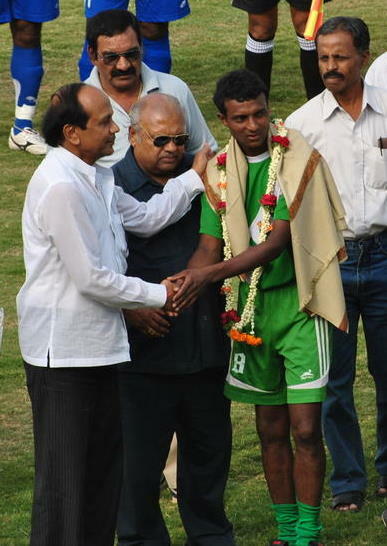 He has played for the national team and is part of Mohun Bagan now. Top performers for HAL so far have been the ageless Xavier Vijaykumar and RC Prakash. Xavier has been playing for HAL for almost a decade and is a local hero. Rohit Chand, a player for Nepal National team, has been one of the best signings this season. His calm and assured performances in central defence have been one of the hallmarks of HAL’s performance so far. With an average of 23, HAL is the second youngest team in this year’s I-League. According to this report in goal.com, HAL management has been preparing itself for AFC criteria for quite some time and HAL are equipped to deal with changes. The mother company has made considerable investment in the football team which is slowly bearing fruit. HAL also manage to draw good crowd for some of their home games so it is very important for Indian football that this team from Bangalore, one of India’s most important cities, retains its status as a fully functional football club.